Tall bottle-brush 串錢柳 is blossom in March. 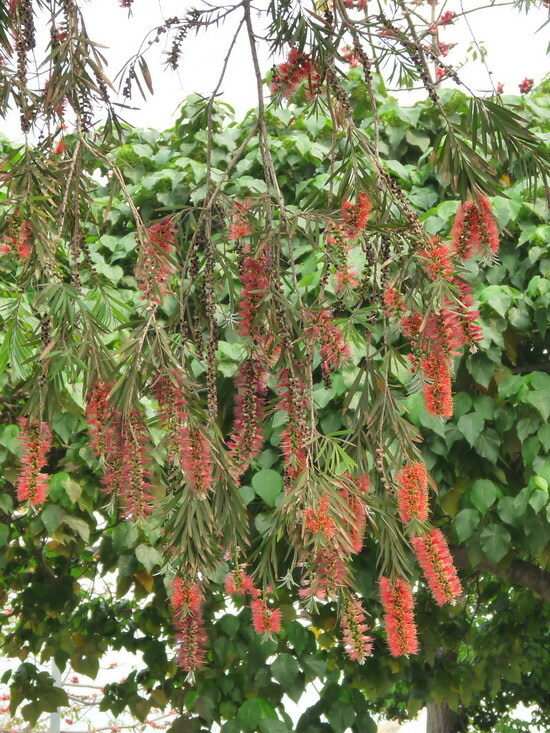 It is belong to the family Myrtaceae in which Stiff bottle-brush 紅千層 is also in the same family. 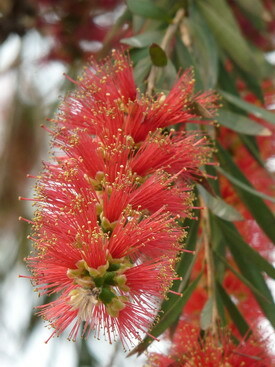 It is easy to recognize as the branch of Tall bottle-brush is casting down and the flower is like a string of coins. It had been one of the ‘Top Four Garden Flowers’. They are also everywhere in the parks. The flower blossom period is long. Fruits are coming tightly behind the flowers continuously. 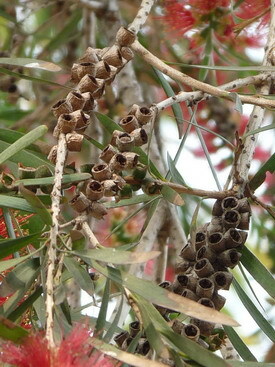 The flower is always staying at the edge of the branches, and the empty fruit shells are also found there as the seeds are already spread far away. 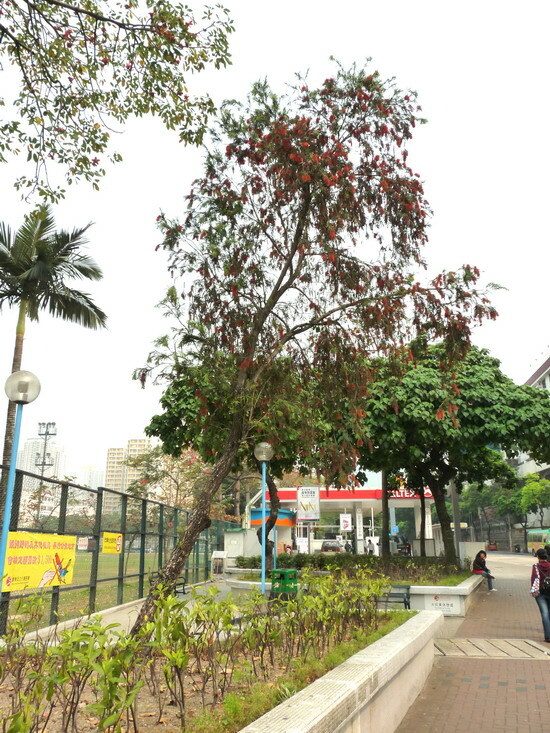 Although it is a common tree, there is not any small tree can be able to grow naturally besides it. From the above evidence, it seems that this foreign species has not fully adapted to the Hong Kong environment. If we count attentively, we can see that there is the blossom flower at the end of the branch, and the fruit last time is located inner, and the former empty fruit shell is staying behind that. 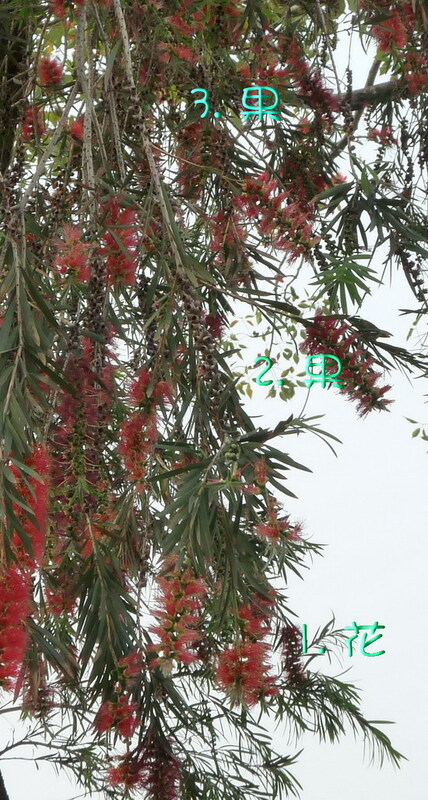 Tall bottle-brush is able to blossom three times continuously on the same branch in one growing season! Will there be the forth, or even the fifth times of blossom? Let’s count later!